The Wall Street Journal has released an interesting rumor today that GoPro Inc. is developing its own line of consumer drones to expand from its core business of making wearable video cameras popular with surfers and other sports enthusiasts, according to people familiar with its plans. The article is behind a pay wall, so we are trying to get the you the most important details here. Notice how the term “people familiar with” emerges again? 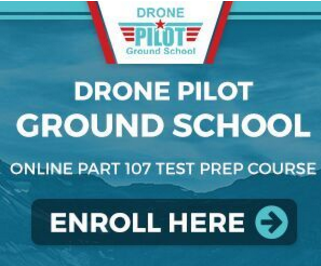 Wall Street Journal referred to similar sources recently when leaking the expected highly restrictive FAA regulations to hit the drone industry and possibly the hobby as well by requiring practically a pilot license for flying drones commercially. So this is an interesting time for GoPro to enter the otherwise highly lucrative industry of hobbyist multirotor manufacturing. It also has to be acknowledged that though the US is probably the most immediate and important market for both drone manufacturers and GoPro’s original focus of business, there are many countries having much less restrictive UAV regulations in place like Australia, New Zealand or Canada. Consumer grade drone manufacturers like DJI have been asking for this move from GoPro as they started installing their own in-house cameras into their own product lines such as the DJI Phantom 2 Vision+. This later model has a 14 megapixel camera with advanced gimbal technology to stabilize it and though the video quality you can achieve is of a little lesser quality than those you can achieve with the GoPros, it provides enough detail for most hobby level aerial videographers. For those who crave 4K recording, DJI recently released the Inspire 1, aiming to be the iPhone of drones. But GoPro may be hedging against a business it could be losing if other drone makers could stop supporting GoPro devices if they are competing head-to-head with the camera maker. After the highly successful IPO GoPro completed earlier this year, the company now has the free cash to undertake such development. 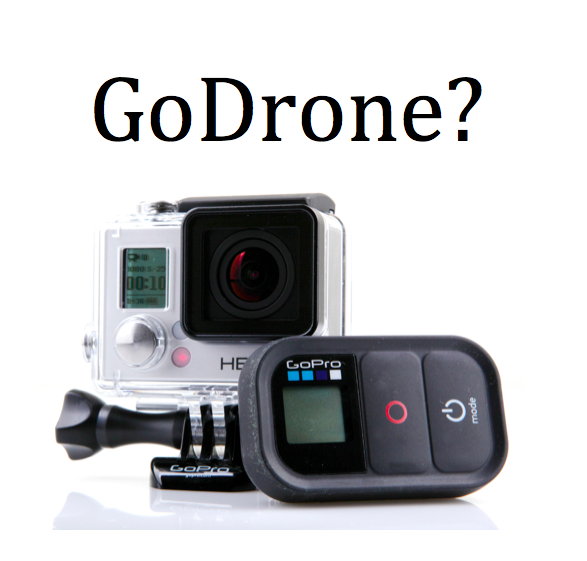 We at Dronethusiast feel that this new move makes a lot of sense for GoPro and there is one thing we can take for granted. There will be complaints on the video quality as GoPro has this technology right up their alley. There is little to know about what the new bird we assume will be a quadcopter (maybe not) will have to offer other than the price tag will be in $500 – $1.000 range. That is pretty wide range actually, I personally just hope that the GoPro drone will not be a lightweight quadcopter like the new Parrot Bebop, but a full size small drone with a 3 axis gimbal, so it will be a real alternative to the DJI Phantom 2 Vision+. I am sure the folks at GoPro already have that one figured out, though it also makes sense to swing in a price range and monitor consumer feedback as the release date of the GoPro Drone line is rumored to be no earlier than late 2015. The entry of a big consumer-electronics brand to the drone market signals how mainstream—and lucrative—the industry has become in just a few years. Consumers have flocked to unmanned aircraft in recent years as technology advances have made them smaller, cheaper and easier to fly. GoPro is already a supporting player in the drone market, providing many of the roughly 3 oz. cameras that consumer drones carry. 3D Robotics – one of the leading US based UAV manufacturers – is supportive of the GoPro drone making its way into the market. 3D Robotics also released its upgraded X8+ modular drone line recently, read more about it here. “I’m happy to let GoPro keep making great cameras and we’ll keep making great copters,” said Colin Guinn, senior vice president of sales at the Berkeley, Calif.-based company which sells GoPro cameras with its drones. Mr. Guinn said he was surprised at GoPro’s move, adding that most 3D Robotics’ customers already own GoPro cameras before buying its drones. In an email, a GoPro spokesman said the company’s users are already producing “jaw-dropping GoPro footage recorded from quadcopters,” or drones. He added, “Earlier this year, to study the policy implications and to protect the rights of our users, GoPro joined the Washington-based Small UAV Coalition,” a drone advocacy group. At the moment, GoPro cameras are selling in much higher quantities than UAVs, the company shipped nearly 2.8 million units in the first nine months of the year. So a mainstream player making a move into the hobby level drone industry should be good news for us enthusiasts. After all, such a main stream public company should have a lot more power and resources to lobby for reasonable regulations. So we personally can’t wait to know more about GoPro drone and will keep you guys posted on any development we can get our hands on. Check out our recent post on the best tablet for Phantom 4. The writer known as I Coleman is a veteran tech reviewer who’s spent seven years writing about everything from PC hardware to drone tech and who joined the Dronethusiast team early in 2017. I brings his characteristic sense of humor and attention to detail to our product reviews and buyer’s guides, making sure that they’re packed with expert analysis in a way that’s still easy for hobby newcomers to understand. In his spare time, I is using drones to create 3D modeling software for a company in his hometown. GoPro drone to be released in 2015 as the mainstream camera manufacturer enters the UAV market according to a Wall Street Journal report.